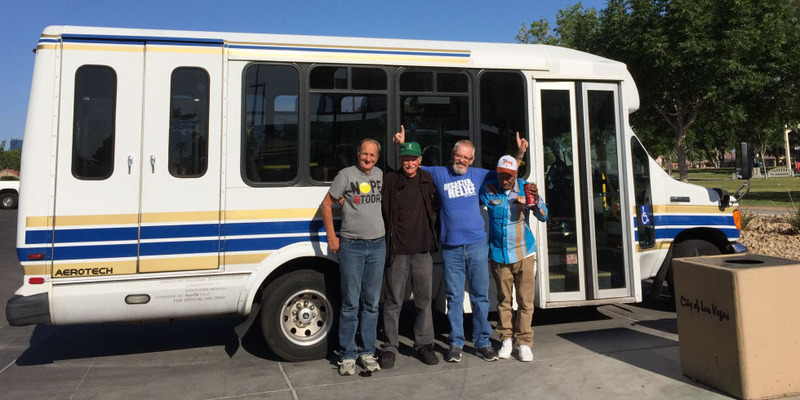 Each Sunday morning the Broken Chains bus drives around to various locations to pick up homeless and the less fortunate who do not have cars, and takes them to a Sunday morning church service. Anyone needing a ride to church on Sunday morning, please contact us. After church we will return you to where we picked you up or another location if you so desire.